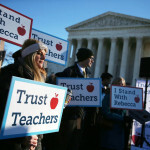 When a case involving California public schoolteachers – and by implication any union’s ability to collect fees from workers who choose not to join and do not want to pay for collective bargaining agreements – was first argued before the U.S. Supreme Court back in January, it seemed headed for another 5-4 vote that would greatly diminish the power of collective bargaining organizations. But now, in what the New York Times calls “… the starkest illustration yet of how the sudden death of Justice Antonin Scalia last month has blocked the power of the court’s four remaining conservatives to move the law to the right…” it has been upheld on a 4-to-4 vote. The challenge is that charters that are authorized in one district can set up shop in another. It’s a whole new front in the Golden State’s school wars. Since its passage in 2010, California’s “parent trigger” charter school movement has been the subject of litigation, perhaps most notably in the landmark “Palm Lane Elementary School” case in Anaheim. 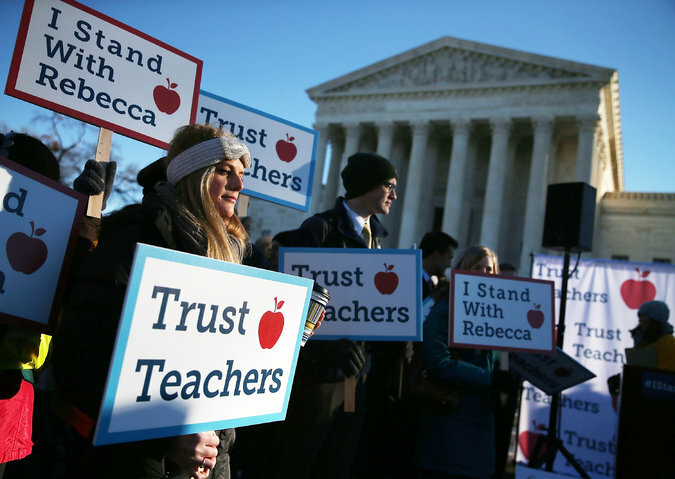 The “trigger” laws allow parents to demand reform at failing schools, including converting the school to a charter school. The California move triggered a handful of other states to take up similar provisions. Now, says Sacramento Bee columnist Dan Walters, Golden State lawmakers are considering dropping one part of that parent trigger legislation, the so-called Academic Performance Index, or “API.” The standardized testing program was passed before the parent trigger, but was eventually linked to the controversial charter school efforts. Walters says removing the API will likely mean yet another lawsuit. Read his entire column here.